Freemake Super Speed Pack - a double speed boost for video conversion tasks! Freemake Super Speed Pack 4.1.10 was available as a giveaway on September 20, 2017! NB: To get Super Speed Pack key, please, follow the instructions in Readme. Then Go to Help-->Get Super Speed Pack-->'I already have the key'-->Enter the key you received. Freemake Super Speed Pack is a premium option for Freemake Video Converter. It provides a double speed boost for video conversion tasks due to the two-pass encoding and hardware acceleration technologies. Convert long HD videos, rip unprotected DVDs & Blu-rays, and transform multiple files in batch twice faster. 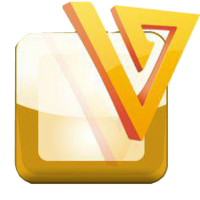 With Super Speed Pack, Freemake Video Converter will complete any complex conversion task at record time. NB: Lifetime license; free updates and tech support. !! !Super Sale Pack free license (activates all Freemake Video Converter and Freemake Video Downloader packs) for the best suggestion for Freemake!!! Use Idea Informer widget! How would you improve Freemake Super Speed Pack 4.1.10? make it compatable wit XP. Download online videos from 10,000 websites. Save videos in HD or any resolution you need. 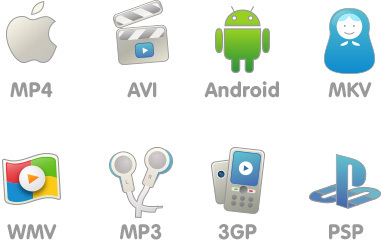 The software is capable of converting videos to AVI, WMV, MP3, 3GP formats. 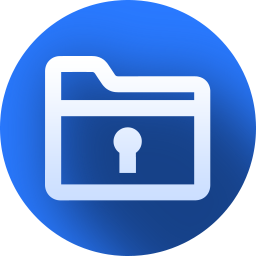 You may also get files compatible with iOS, Android and Sony devices. Playlists download is available within Premium Pack. 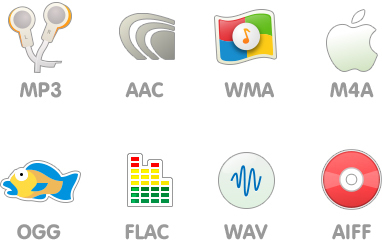 Convert audio and video files to MP3, WMA, WAV, M4A, AAC, FLAC. Prepare tracks for your portable gadgets: iPhone, iPad, Zune, Samsung Galaxy, Nokia Lumia, etc. Convert with lossless codecs or join several audio tracks into one. To convert files longer than 3 minutes, you’ll need Infinite Pack. Eleven hours late, suppose that's better than not at all ? Alexa Bennett, Eleven hours late, suppose that's better than not at all ? Freemake is a bust as far as I'm concerned. i used it for a long time and even bought the gold pack. Now with all the extras you have to buy, I looked for an alternative. I bought the Macx HD Video converter for 29.99 from digiarty and it had every feature that freemake wants to charge you for. It also runs faster, is more customizable and they do not disable features when upgrading. My video card is a GeForce GTX 650 Ti. However, this software claims that CUDA cannot be enabled on my PC because my graphics card is not CUDA-capable. Guys, I dumped freemake years ago when they started bundling crapware. Take a look at Handbrake, my FOSS alternative. I've been using that for eons, and they recently upgraded it as well. Was interested in checking out freemake again until I read the comments. What convinced me to use this software is the FREE BRANDING that they put on all your videos. There are MANY apps that don't offer this free branding, so this really stands out. If you like free branding as much as I do, then you will want this software! Where can we find the old Freemake 4.1.4.8 that people keep mentioning? I Googled it and every hit comes from a site I've never heard of that looks suspicious to me or has warnings that toolbars or other PUP/spyware will be installed (such as oldapps.com). Is there any trustable site out there where I can find a full Freemake 4.1.4.8 without that site adding PUP/spyware in it? Based on the comments I will not use. Used to be free and used to be better. I have promoted this sofyware many times when a video conversion software was offered. No More. So I took a quick look at the Freemake Video Converter & its Super Speed Pack out of curiosity, monitoring install in a win7 32 bit VM as usual. In a nutshell the Freemake Video Converter is the usual ffmpeg-based converter, written by coders in England rather than China, and using their own .NET code rather than the usual QT [ wikipedia[. ]org/wiki/Qt_(software) ]. RE: installation, the biggest difference I saw was the Freemake Video Converter added 3770 new registry entries, vs. the relatively few QT cache entries common with video converters out of China. I checked the box to help improve the software [like I usually do when testing in a VM], and then regretted it -- I was expecting maybe to send some telemetry data back on the installation, so was surprised when I got a new service added that auto starts with Windows. The auto updater is also set to start with Windows [HKLM\ SOFTWARE\ Microsoft\ Windows\ CurrentVersion\ Run], though that may or may not be because I checked that box. The only other installation related note is that the downloaded setup file [FreemakeVideoConverterFull.exe] is left in the User Temp folder, in case you want to grab & save it. Regarding performance, ffmpeg is ffmpeg -- the big workload [re]encoding video involves reading & decoding the source video, then encoding it, which is ffmpeg's job. Ffmpeg can be compiled to use Nvidia, AMD, &/or Intel GPU hardware assist, though in my experience using it with a mainstream AMD card actually slowed things down with an i7. That was using it to encode AVC/H.264 with the ffmpeg-included x264 encoder -- mileage may vary with other hardware &/or target formats. The Freemake Video Converter settings or options only show CUDA [Nvidia] GPU assist & Windows own DXVA [standard Direct X Video Acceleration]. I also didn't see the expected setting where you specify the number of cores to use [limiting the number of cores used for conversion lets you do other stuff while it runs in the background]. My personal feelings & opinions... I don't see that Freemake Video Converter brings anything to the table that I don't already have with the previous China-based converters that have been on GOTD, but it does add complexity with .NET. Freemake Video Converter does include the open source DVD Author, but IMHO there are better open source front ends to use it. Reading comments that you need a paid upgrade to remove branding from your videos bothers me... I run Nero Ultimate & Corel VideoStudio Pro Ultimate, buying those for between $12 - $25 each when their prices [eventually] dip that low on sale [I just bought VideoStudio Pro Ult. X10 for $25, & paid around $20 for Nero 2017 Ult towards the end of last year]. And their capabilities & included content are in a whole 'nuther class compared to Freemake Video Converter. That's Not saying anything bad about Freemake Video Converter &/or its developers, & Not saying they shouldn't charge users -- I'm just saying that if I am going to pay I'm going to buy the best value. So I took a quick look at the Freemake Video Converter & its Super Speed Pack out of curiosity, monitoring install in a win7 32 bit VM as usual. In a nutshell the Freemake Video Converter is the usual ffmpeg-based converter, written by coders in England rather than China, and using their own .NET code rather than the usual QT [ wikipedia[. ]org/wiki/Qt_(software) ]. RE: installation, the biggest difference I saw was the Freemake Video Converter added 3770 new registry entries, vs. the relatively few QT cache entries common with video converters out of China. I checked the box to help improve the software [like I usually do when testing in a VM], and then regretted it -- I was expecting maybe to send some telemetry data back on the installation, so was surprised when I got a new service added that auto starts with Windows. The auto updater is also set to start with Windows [HKLM\ SOFTWARE\ Microsoft\ Windows\ CurrentVersion\ Run], though that may or may not be because I checked that box. The only other installation related note is that the downloaded setup file [FreemakeVideoConverterFull.exe] is left in the User Temp folder, in case you want to grab & save it. Regarding performance, ffmpeg is ffmpeg -- the big workload [re]encoding video involves reading & decoding the source video, then encoding it, which is ffmpeg's job. Ffmpeg can be compiled to use Nvidia, AMD, &/or Intel GPU hardware assist, though in my experience using it with a mainstream AMD card actually slowed things down with an i7. That was using it to encode AVC/H.264 with the ffmpeg-included x264 encoder -- mileage may vary with other hardware &/or target formats. The Freemake Video Converter settings or options only show CUDA [Nvidia] GPU assist & Windows own DXVA [standard Direct X Video Acceleration]. I also didn't see the expected setting where you specify the number of cores to use [limiting the number of cores used for conversion lets you do other stuff while it runs in the background]. My personal feelings & opinions... I don't see that Freemake Video Converter brings anything to the table that I don't already have with the previous China-based converters that have been on GOTD, but it does add complexity with .NET. Freemake Video Converter does include the open source DVD Author, but IMHO there are better open source front ends to use it. Reading comments that you need a paid upgrade to remove branding from your videos bothers me... I run Nero Ultimate & Corel VideoStudio Pro Ultimate, buying those for between $12 - $25 each when their prices [eventually] dip that low on sale [I just bought VideoStudio Pro Ult. X10 for $25, & paid around $20 for Nero 2017 Ult towards the end of last year]. And their capabilities & included content are in a whole 'nuther class compared to Freemake Video Converter. That's Not saying anything bad about Freemake Video Converter &/or its developers, & Not saying they shouldn't charge users -- I'm just saying that if I am going to pay I'm going to buy the best value. mike, can you share how you usually find these prices you mentioned. I have no such luck with Corel, but I did find $27 Nero 2017 ULT last month (well, actually found me with an email from NERO ;). And I must say I appreciate all your feedback here. mike, can you share how you usually find these prices you mentioned. I have no such luck with Corel, but I did find $27 Nero 2017 ULT last month (well, actually found me with an email from NERO ;). And I must say I appreciate all your feedback here. Be well ! mike, I thought that Freemake was Russian software. Is there somewhere I can get inside info on Freemake? Did you know Freemake apps add many folders for different languages, you can safely delete all language folders except en. Based on the comments, I'm not downloading it either and wouldn't consider buying any software from Freemake Did you know Freemake apps add many folders for different languages, you can safely delete all language folders except en. Jim, Deleting .lang files, sometimes all of them, works with practically 90% of the software out there, just be sure to test the prog before emptying the recycle bin. It IS a great way to save a lot hdd space tho. Interesting, but probably common now that you brought it up. Based on the grouping of countries, it appears to be a "what the market will bear" pricing. Sort of like the higher-than-everywhere-else prescription drug pricing here in the U.S.! TK, Interesting, but probably common now that you brought it up. Based on the grouping of countries, it appears to be a "what the market will bear" pricing. Sort of like the higher-than-everywhere-else prescription drug pricing here in the U.S.! software listed as malware so i disabled my virus/malware protection and followed instructions to install and register freemake speed pack. key registered said the pack was installed but when i tried it the software offered the pack again so i registered and it said once again that the pack was installed. i tried to use it and the entire converter froze up. Doesn't work.. add this to your other failed offers! I will not even try it. There latest UPGRADE of FREEMAKE took away options that use to be free. I had to uninstall and go back to the older version 4.1.4.8 to use the options that have already been free before such as downloading. Was NOT HAPPY that hey suddenly started charging for something that had always been free before and called it an upgrade. I will not even try it. There latest UPGRADE of FREEMAKE took away options that use to be free. I had to uninstall and go back to the older version 4.1.4.8 to use the options that have already been free before such as downloading. Was NOT HAPPY that hey suddenly started charging for something that had always been free before and called it an upgrade. Jos, a licensed version of a commercial product should be void of watermarking or "branding" as they describe it. I see zero advantage to this so called super speed "pack" it is NOT a pack but a key that supposedly slightly de-cripples the free version to increase the encoding speed, but I don't notice any noticable improvement, but while encoding I did get an advert to convert at super speed with the gold pack... I thought I already got "super speed" from the super speed "pack" key... They should have given away the gold "pack" unlimited license then we would have gotten the full licensed product and not the cut down adware/crippleware edition. As the free version the adverts , nags, and crippling of the templates is acceptable for the unique non standard DVD-video profiles that let us put an entire TV series onto a single DVD and still be playable on a standard DVD player, but it is not acceptable for a giveaway of what is supposed to be a fully licensed program, not a tweaked free program that still has ALL the other negative additions, adverts, nag windows, restricted DVD menu templates. registration key 'or' email, do not work! Freemake leave their logo on the beginning and at the end of every video, so I have simply uninstalled this agan. Freemake leave their logo on the beginning and at the end of every video, so I have simply uninstalled this agan. Too bad. Goran, Find an older copy like 4.1.4.8 and try it. I had to lse the last UPGRADE because they wanted to sell me an add on to do the downloads that I have always done for free before. Ed Lafferty, I'm sad to hear Freemake has gone to a pay system. I never got around to using it, but I download version 4.1.9 in 2016 (it's only 1313 KB so I worry if it's a full version). Is 4.1.9 good enough or do I need to Google to find 4.1.4.8 which is the last version with all the features still free? Which site is recommended as not adding PUPs? Perhaps oldapps.com? Jonathan, they provide a downloader module not a full installer for direct download, they used to include definatly unwanted extra software offers in the downloader but that seems to have been removed for now. I give this one a try, it seemed to convert the video at a good speed. Like many others here, having to pay to remove branding that is being ADDED to your video on conversion I don't agree with. I would be really upset had I purchased the Speed Pack only to find out that the branding is still added to your video when you convert it. I realize the developers have to make money and advertising is one way of doing it, but having branding ADDED to your video and having to pay to prevent that is just plain wrong in my opinion, and as I just stated had I have PURCHASED the Speed Pack and still had to pay I would be really upset. This could be a really great software, but the branding issue is a deal breaker for me. It's bad enough that you still have to put up with ads for their other products, but having to put up with them every time you convert a video is not good for me. I give this one a try, it seemed to convert the video at a good speed. Like many others here, having to pay to remove branding that is being ADDED to your video on conversion I don't agree with. I would be really upset had I purchased the Speed Pack only to find out that the branding is still added to your video when you convert it. I realize the developers have to make money and advertising is one way of doing it, but having branding ADDED to your video and having to pay to prevent that is just plain wrong in my opinion, and as I just stated had I have PURCHASED the Speed Pack and still had to pay I would be really upset. This could be a really great software, but the branding issue is a deal breaker for me. It's bad enough that you still have to put up with ads for their other products, but having to put up with them every time you convert a video is not good for me. I put name and my email after visiting the given site, waited for several hours but no registration sent, I did it again with the same email, but no any key sent I repeated the third time, eventually, the key was sent, I copied that key and pasted, but key was not recognised and cross sign was remaining still, I repeated the process with the same result, I decided to type the key but the same thing happened! I registered with the other email with the same problem, all the three emails and three registration key are not valid!!! I am planning to uninstall it. I put name and my email after visiting the given site, waited for several hours but no registration sent, I did it again with the same email, but no any key sent I repeated the third time, eventually, the key was sent, I copied that key and pasted, but key was not recognised and cross sign was remaining still, I repeated the process with the same result, I decided to type the key but the same thing happened! I registered with the other email with the same problem, all the three emails and three registration key are not valid!!! I am planning to uninstall it. muho, i found the key email from GAOTD in my junk folder, it's happend quite often when GAOTD mail out license keys for me. The key provided apeared to be accepted but still got adverts for super speed with the gold pack... so i am unconvinced the derestriction this key is supposed to add is that effective. I used Copy and Paste with the key making sure no extra space characters were included and no key characters were missed out..
muho, i found the key email from GAOTD in my junk folder, it's happend quite often when GAOTD mail out license keys for me. The key provided apeared to be accepted but still got adverts for super speed with the gold pack... so i am unconvinced the derestriction this key is supposed to add is that effective. I used Copy and Paste with the key making sure no extra space characters were included and no key characters were missed out.. Pointless software. Not really fast plus the splash. Pointless software. Not really fast plus the splash. Uninstalled. 1st of all, my prayers go out to the people in Mexico affected the 7.1 earthquake yesterday. I thought we had it rough in Oklahoma. Ive been using Freemake for at least 6 years and I was surprised to find this Speed Pack. Don't skip the Read Me file and follow it to the key. Normally, with all Freemake installs, I have to disable my security software due to the false alerts. I loaded 4 videos of various formats and even clipped out several segments and then "joined" them all as one. I choose the MP4 setting at 1080 conversion as H.264 and the total edited new video was completed in about 8 minutes, delivering a smooth 51 minute HD video. What not talked about here is the fact that if I wanted to join 10 videos that were an hour long each, edit them and then join them into a 10 hour DVD complete with Title page with moving thumbnails; Freemake Converter would have it complete and burnt in less than 45 minutes. I can't find all that in any other converter program. This is a good quality 10 hour DVD that I can play on any DVD player. As for the banner, Gee, is that really such a big deal? GOLD PACK solved it for me because I dont mind supporting a little for very useful tools like Freemake has to offer. 1st of all, my prayers go out to the people in Mexico affected the 7.1 earthquake yesterday. I thought we had it rough in Oklahoma. Ive been using Freemake for at least 6 years and I was surprised to find this Speed Pack. Don't skip the Read Me file and follow it to the key. Normally, with all Freemake installs, I have to disable my security software due to the false alerts. I loaded 4 videos of various formats and even clipped out several segments and then "joined" them all as one. I choose the MP4 setting at 1080 conversion as H.264 and the total edited new video was completed in about 8 minutes, delivering a smooth 51 minute HD video. What not talked about here is the fact that if I wanted to join 10 videos that were an hour long each, edit them and then join them into a 10 hour DVD complete with Title page with moving thumbnails; Freemake Converter would have it complete and burnt in less than 45 minutes. I can't find all that in any other converter program. This is a good quality 10 hour DVD that I can play on any DVD player. As for the banner, Gee, is that really such a big deal? GOLD PACK solved it for me because I dont mind supporting a little for very useful tools like Freemake has to offer. On a SATA-2 PC, although with a SATA-3 SSD to boost performance (yes these PC's benefits also), still this software didn't 'double anything, just a wee bit faster & using 2x as many resources. Freemake Super Speed Pack 4.1.10 isn't for me. Time for GOTD to give more quality, useful apps, there was a time when a gem came along every couple of weeks, now seems to be more like every 4-6 instead & had better check the page daily. The key sent to me was incorrect so not able to activate. at this point, just taking up space on HD. Unable to get key, and they keep asking for money. Buy, Buy, donate. Never was sent key via email. I then tried to convert 2 18mb WMV files referred to in previous post. I'm told branding would be inserted at the beginning & end. I thought this was a bad joke & cross-checked if I have the activated version. I decide to decline the branding which is avoidable in another offered paid version. The program goes ahead and converts the 2 files with branding at the beginning & end. If I'm not mistaken, just like user #1 who got same problem, this is not worth it at all and if I get this confirmed a big no thank you to Freemake. There are much more sensible programs which do the same tasks for free & without such shameful additions to one's videos. ... but ... I may be mistaken. If I'm not, it's absolutely not worth it at all. This is a joke! With the key received via email, the giveaway was activated ... I then tried to convert 2 18mb WMV files referred to in previous post. I'm told branding would be inserted at the beginning & end. I thought this was a bad joke & cross-checked if I have the activated version. I decide to decline the branding which is avoidable in another offered paid version. The program goes ahead and converts the 2 files with branding at the beginning & end. If I'm not mistaken, just like user #1 who got same problem, this is not worth it at all and if I get this confirmed a big no thank you to Freemake. There are much more sensible programs which do the same tasks for free & without such shameful additions to one's videos. ... but ... I may be mistaken. If I'm not, it's absolutely not worth it at all. I didn't even get to install the Speed Pack. Freemake Video Converter is only free to download. Any program that cripples a free version (adding banners on the output video) is called Crippleware, not Freeware. "Freemake splash will be added at the beginning and the end of the video"
"Only need pay 9.95/19.95" for remove it..
Is just the speed free today, but not splash free?? "Freemake splash will be added at the beginning and the end of the video" Hopeless!! "Only need pay 9.95/19.95" for remove it.. 1year/unlimited Is just the speed free today, but not splash free?? Will this also remove the Freemake logo from the end of the video? Anyone, what version of Freemake Video Converter this requires? I have version 4.1.6.7 and I do not like to update frequently because possible of PUP in installer. M. H., Just remove FreemakeVideoConverter\Resources\advertising.png or Freemake Video Converter\FMCommon\ConverterCommon\Resources\ImagesBranding folder or so. :) Anyone, what version of Freemake Video Converter this requires? I have version 4.1.6.7 and I do not like to update frequently because possible of PUP in installer. ABMM, Where do you find those? It is good that Freemake gives this Super Speed Pack as a Giveaway, but it leaves me with some bitter taste all the same. Once you try to close the program, there's this unavoidable pop-up offering the Gold Pack! Why if you are giving a full version do you leave this nagging window there? I would understand this if it was in the free version. It reminds me of a recent unconnected encounter a few days ago with the free version of this converter. I have been a long time user of the Video downloader, free version and I'm quite happy with it and know Freemake makes good stuff and thought the free version of their software is all usable. I quickly wanted to convert some relatively short 2 WMV files, each 18mb to mp4 & got the free version of the converter. To my dismay they had some logo or text of Freemake across them and something else I do not remember was not OK! They were not usable anyway. I immediately removed it and got another converter that did the job without any strings or "ropes" attached. Why can they for example, if they want you to buy their software, at least allow one to have a demo version with full features for a limited time or think of some other limitation other than splashing Freemake text across it? Anyway, that is another issue, but that tarnished the image I had about Freemake. So I was not surprised after getting a giveaway that has this inescapable "Upgrade to King Level" window popping up every time you want to close the program. I think it's not so good for reputation, in an age when there are lots of free programs that can do similar stuff. the best video converter I ever used. thanks for the giveaway! Converted a video with xmedia recode and "Super Speed" Freemake. xmedia recode took 7 minutes, "Super Speed" Freemake took 9 minutes plus it added branding to start and end which you have to pay $19.95 to remove. No thank you. Uninstalled. Got the key by email but I'm not even able to click "OK" after I paste it in. Diddy, some programs force this so you have to type the key in before you can.